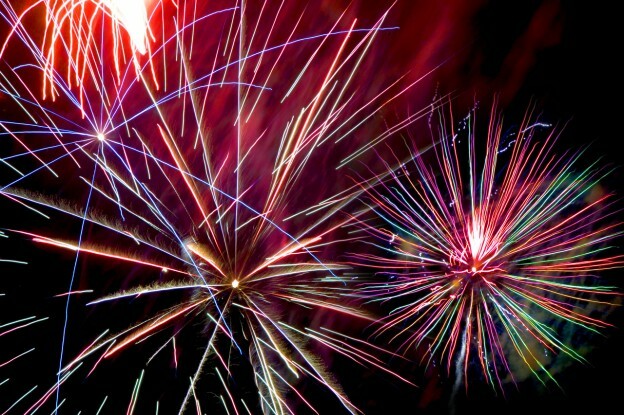 This year The Chobham Fireworks Extravaganza will be celebrating 25 years at Chobham Rugby Club. Join us on Saturday 28th October 2017 for a stunning fireworks display set to music. Chobham Village has a long history of bonfires and fireworks. An early venue for the annual show was on the green outside the Four Horseshoes but due to the popularity of the event it outgrew the size of the site. After a break of a few years Chobham Rugby Club took up the challenge of organising the display for the village and 25 years ago a new era of Chobham Fireworks began. The event at Chobham Rugby Club has grown from a small traditional hand fired show with Catherine wheels, rockets and set pieces for an audience of hundreds to what it is today, a multi-faceted, electrically fired extravaganza watched by thousands from far beyond the local community. The bonfire remains an integral part of the entertainment. This is a much anticipated occasion of which Chobham Rugby Club is very proud of. The event is run completely by club member volunteers including the pyrotechnics team, all of whom work for a firework company, which is why the event is always held the weekend before firework night. To celebrate the landmark 25th anniversary at the Rugby Club, the display has been specially designed for the occasion, which has meant adjusting the site layout to ensure that the audience has the best possible view of the show. The lighting of the bonfire, always a special event, will also have an added surprise. Gates open 6:00 pm; the Bonfire will be lit at 7:00 pm (with a special surprise) and the Fireworks Display will begin at 8:00pm. Arrive early to avoid the queues! Join in the fun in our Club House or Beer Tent, as well as a delicious Barbecue and Glow in the Dark novelties. There will also be a Halloween Fancy Dress Competition. Judging starts at 6:45pm and the winners of the scariest outfit will help light the Bonfire! ‘Eagle Radio’ will be Joining us again to judge the competition and to say hello. Advance (non refundable) tickets are available until Thursday 26th from Chaps Barbers of Chobham at 32a Chertsey Road, GU24 8PQ and from the Club Bar. Prices are: Adult (15+) £5 Child £3. Tickets sold on the night at the Gate are Adult (15+) £6 Child £4. (Please try and bring the correct change and have it ready at the gates).